Shailja Jain, who was earlier the coach of Indian women Kabaddi team, joined the Iranian squad 18 months ago to prove that she is the best Kabaddi coach in the world. The 61-year-old tactician ended India's dominance in the Kabaddi world with its defeat at the Asian Games Jakarta 2018. India’s dominance in the Kabaddi world ended with its defeat in Asian Games 2018 semi-final. Women’s team were defeated by Iran in the final. This is the first time that India has returned without a gold from Jakarta in Kabaddi, since 1990 when the game was included in the Asian Games. You must not be able to digest India’s shocking defeat, but you will be astonished to know that there was an Indian coach behind Iran’s stunning performance in Asian Games 2018. Shailja Jain, who hails from Maharashtra’s Nashik, received an offer from Iran to coach their national women’s Kabaddi team, which she accepted with both hands to prove her skills. 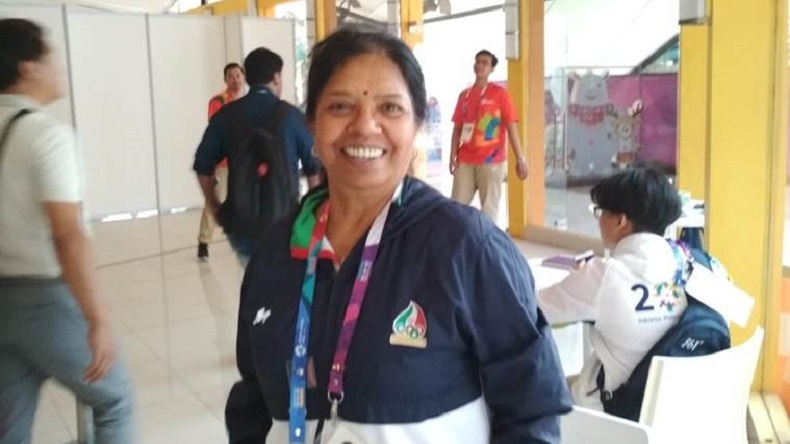 The 61-year-old tactician, who was earlier the coach of India women kabaddi team, was removed from her post by the Kabaddi Federation of India. She joined the Iranian team 18 months ago. However, she is disappointed with India’s defeat but as a professional, she is happy with Iran’s victory. Facing challenges, she even learned Persian to communicate well with the players. In her strategies and tactics, she included Yoga, breathing exercises to make players supreme fit. However, her contract with Iran has ended with Asiad 2018. Iran beat South Korea 26-16 in the men’s final to claim both kabaddi golds.